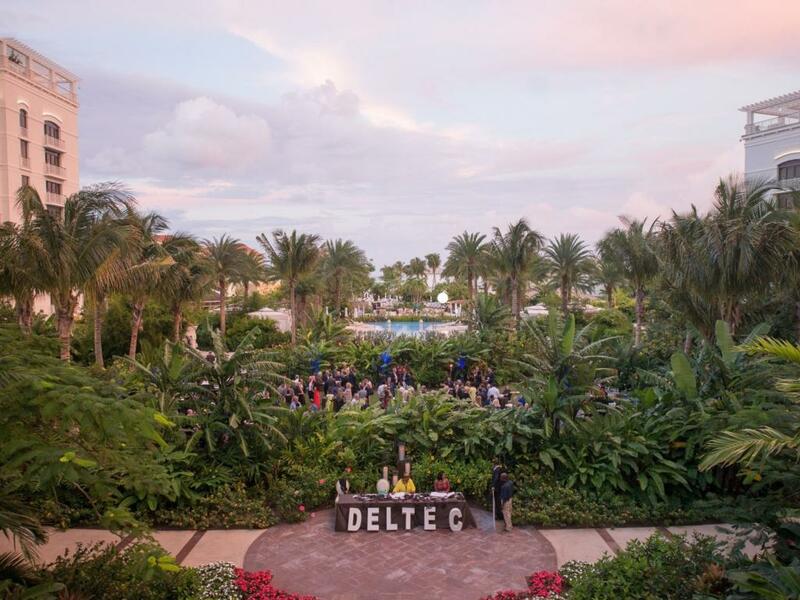 Deltec International Group held its annual conference in Nassau, Bahamas last week, bringing fintech, regtech, and blockchain companies from all over the world to the island nation. The company looks to serve as a hub of innovation and facilitator of business in the Bahamas, a country that is keen on taking advantage of what an increasingly digital banking world could do for the country. “Deltec is a forward-looking bank that banks with companies that are on the cutting edge of different technology sectors and believes you have to understand the impact of disruption [to be at the] forefront [of] innovation,” keynote speaker and fintech expert Henri Arslanian told Benzinga at the conference. “Deltec is moving in the direction of what some might call a ‘fintech bank’ — and that’s because there is no other choice but to adapt,” said Deltec Bank Chairman Jean Chalopin told Benzinga. A level playing field is needed for small countries, he said. 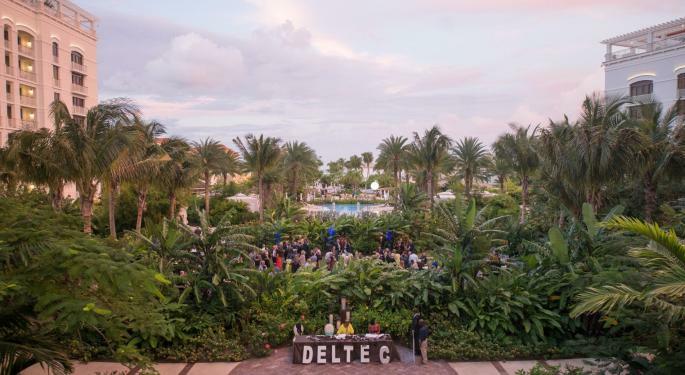 The goal of Deltec's annual conference is to show that with technology, a company can be in a small corner of the world and compete just like the major players in Silicon Valley. The Deltec Annual Conference featured “The Innovator’s Marketplace,” a component of the conference designed to provide a forum for emerging companies in biotech, life sciences, virtual reality, blockchain, fintech, quantum computing and other industries to pitch their ideas to investors and attendees in 45-minute presentations. The following companies presented as part of the Innovator’s Marketplace forum. BeachHead VR is an entertainment product that integrates gaming and virtual reality with crypto-economics to create an immersive VR experience. The Beachhead platform combines commerce, entertainment and gaming in a video game series leveraging blockchain technology to transport the user to into an alternative reality. “We were grateful for the opportunity to share our technology and vision for the future of VR at Deltec’s Annual Conference. Deltec’s Innovator’s Marketplace allowed us to challenge participants to embrace their own imaginations through our technology — an experience that could change the way our society approaches education altogether," Beachead VR CEO Pepe Moreno told Benzinga. BeachHead VR also set up an interactive demo that allowed conference participants to experience their VR product firsthand. Cadence is a New York-based financial services firm that focuses on creating technologies to eliminate inefficiencies in private credit markets through blockchain technology. Blockchain technology will be particularly disruptive to financial services, founder and CEO Nelson Chu told Benzinga. “If you think about the various different parties that are involved in any type of transaction, in securitization particularly, there’s regulating agencies, auditors, servicers, banks — there’s all these different players," he said. "If you give them an opportunity to efficiently work with each other and know all the information they need to know — on a need-to-know basis — then you have a very efficient platform that reduces a lot of the overhead and administrative costs tied to these transactions." The discussion about use cases for blockchain technology didn’t end at financial services. Solve.Care is a platform for the health care industry that uses blockchain technology as the underlying distributed ledger for interactions between patients, doctors, pharmacies, laboratories, insurance companies and other parties in the provision of medical care. The goal of the platform is to help patients manage their health care decisions; help employers administer benefits efficiently; and increase access to needed health services. Actions like issuing prescriptions, managing appointments and providing telemedicine can all be performed on Solve.care’s platform. The company recently partnered with Lyft to improve doctor’s appointment attendance. “Blockchain brings certain capabilities that help make health care more efficient. 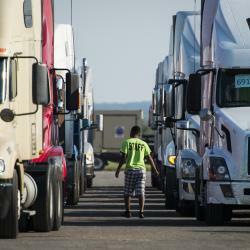 Some of those capabilities are the distributed ledger that we can use to coordinate care more effectively," CEO Pradeep Goel told Benzinga. "You can use it to coordinate benefits more effectively and you can align the interests on a common shared framework that both parties can trust." Tag-It Tech looks to bring a tracking solution to market to prevent brand counterfeiting, enable transparent interstate and international trade, deter black market trade and enable fair tax revenue sharing across jurisdictions. The company is developing tags that are safe to eat or drink and impossible to remove. Producing a tag product that is impossible to counterfeit could have far-reaching implications ranging from heavily regulated industries like cannabis — the company's are aof focus — to retail luxury goods. 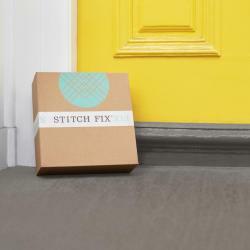 “We are looking to reinvent the future of product tracking altogether,” said Paul Schutt, CEO and co-founder of Tag-It Tech.